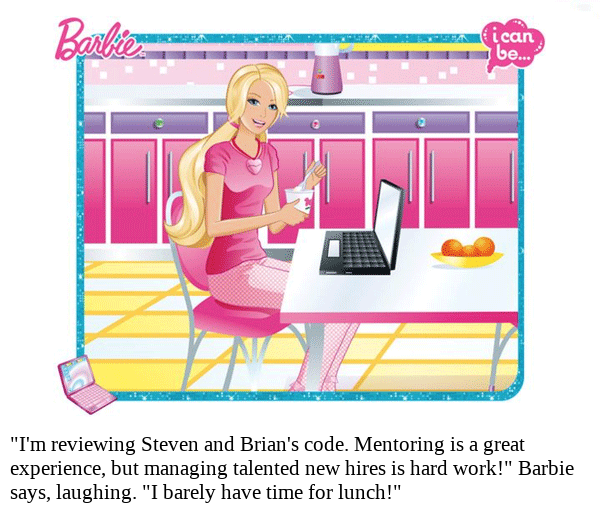 "I'm reviewing Steven and Brian's code. Mentoring is a great experience, but managing talented new hires is hard work!" Barbie says, laughing. "I barely have time for lunch!"